Leeds have been caught spying on promotion rivals Derby. Is it really a big deal? A weird story broke last Friday, when it was announced that Championship side Derby County had called the police after discovering a man in their training facility the previous day. The man had a pair of binoculars and a change of clothes on him and he turned out to work for Championship leaders Leeds United, who Derby were due to play the following day. The immediate implication was that Leeds were spying, and the FA launched an investigation, which was made a lot easier when the Leeds manager, Marcelo Bielsa admitted that’s exactly what they were doing when asked before the game. The Leeds employee was later released without charge. Leeds won the game 2-0 to stay top of the Championship, but all the talk was about Bielsa’s actions. 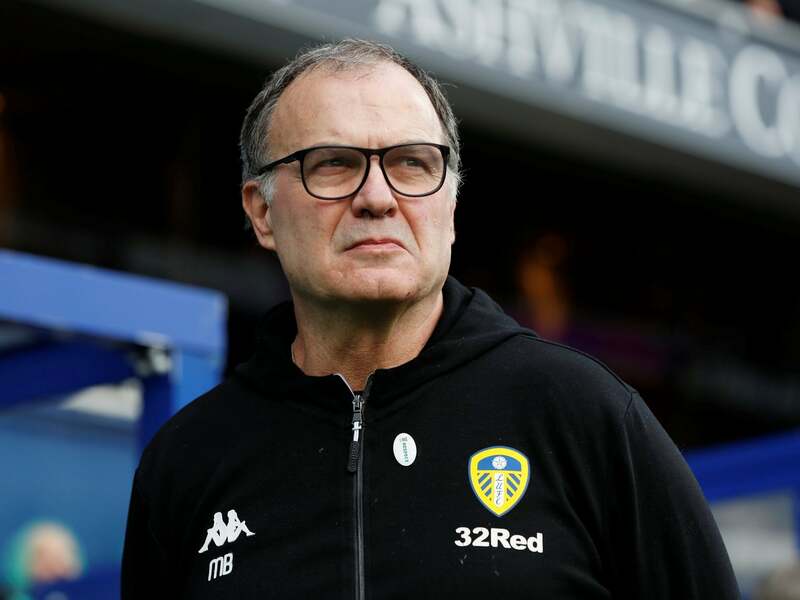 Leeds have apologised for what happened, but Bielsa was a bit confused as to what he’d done wrong, saying 'It's true there was someone from Leeds United. The responsible of this incident is me. It doesn't matter if this is illegal or legal but it is right or wrong. 'For me it's enough that Frank Lampard and Derby County felt it was not the right thing to do and that I didn't behave well. 'I talked to Lampard and he told me that I didn't respect the fair play rules. I have a different point of view on it but the important thing is what Lampard and Derby think. 'I am the only one responsible for it because I didn't ask the club Leeds permission to do that. 'Without trying to find a justification, I have been using this kind of practice since the qualifications for the World Cup with Argentina. 'This is not illegal, we have been doing it publicly, we talk about it in the press, for some people it is the wrong thing to do but for other people it is not the wrong thing to do’ Derby manager Frank Lampard was less than impressed saying ‘Of course I don't think it's right and I'm not sure anyone who's played sport at any level would think it's right. If it's a cultural thing I'm very surprised because I don't think it's right’ ‘I'd rather not coach than send people undercover on their hands and knees with pliers and bolt cutters to go and look at the opposition because I respect the opposition.' There aren’t any rules that specifically prohibit spying on another team. There is a vague rule that says ‘in all matters and transactions relating to the league each club shall behave towards each other club and the league with the utmost good faith’ but that’s open to interpretation, and there’s no specific sanction mentioned for that. So I think it’s unlikely Leeds will get punished. The reaction to this has been mixed. Some people are up in arms about Leeds’ conduct, others don’t really see what the big deal is. I tend to fall towards the latter. Yes, Bielsa’s actions weren’t sporting, but neither are a lot of things that teams do. Teams tap up other teams’ players and youth players, some doctor the pitch in order to disadvantage the opposition and some teams mess with the oppositions preparation, such as the changing room heating ‘accidentally’ breaking and the room is either uncomfortably hot or cold. Even of none of them do that, they have no problem with their players cheating all game. Sending a spy is different to the normal scouting teams do to prepare for a game. Bielsa’s staff would’ve learned a lot about Derby by watching film and they will have sent scouts to watch them. But, what they couldn’t learn by any other method than sending a spy is to see if Derby were doing anything unexpected such as playing a different player or trying a different way of playing designed to nullify Leeds. Leeds definitely aren’t the only team who have been spying on the opposition. Former Chelsea chief scout and later manager Andre Villas Boas has admitted doing it during Jose Mourinho’s first spell as manager. Manchester United were accused of flying a helicopter over Manchester City’s training ground. And there’s a load of stories about other clubs doing the same thing, including one about Huddersfield’s kitman hiding in the ceiling above the away dressing room. <blockquote class="twitter-tweet" data-lang="en"><p lang="en" dir="ltr">Nothing new this spygate lark. I remember a certain game for Lincoln away against Huddersfield before I signed there. Big Keith was giving his halftime talk and one of the polystyrene tiles cracked and fell down. The sight of Brooky the Kitman trying to back up was hilarious. </p>&mdash; Gary Taylor-Fletcher (@GTF_12) <a href="
">January 12, 2019</a></blockquote> <script async src="https://platform.twitter.com/widgets.js" charset="utf-8"></script> Clubs are also passed inside information about others. A few years ago Cardiff midfielder Aron Gunnarsson was accused of sending the Cardiff team to the Sporting Director of Crystal Palace, who were their upcoming opponents, only for that person to send it to the wrong coach by accident. Over the past few seasons Liverpool’s teamsheets have been leaked and shared over social media. That Bielsa’s actions have raised eyebrows speaks to the psyche of a lot of British sporting fans. People often say that British people have a problem with winning. That’s not true; what British people seem to have a problem with is the single-minded pursuit of victory. Traditionally, the Brits value fair play above all. They have liked their winners to have either been underdogs, or to have almost won accidentally. The idea of doing anything to win is a relatively new concept, and it’s one that a lot of people aren’t comfortable with. A good example of that is the British-based cycling team Team Sky. That team has been hugely successful, but has operated right at the edge, using loopholes and grey areas to stay within the rules. The British public has never really taken to the team because they don’t know what to make of them. Some sense of proportion is needed for all of those who are criticising Bielsa. He may have crossed an ethical line, but that’s it. We each have our individual codes of ethics, our own sense of what’s right and wrong. He didn’t break any rules; he didn’t hurt anyone. The stakes are now so high in modern football that teams will do anything to get any advantage they can. And if that means breaking an unwritten rule then so be it. Schmid's legacy is welded into American soccer, and will be remembered as long as long as the sport is followed in this country. 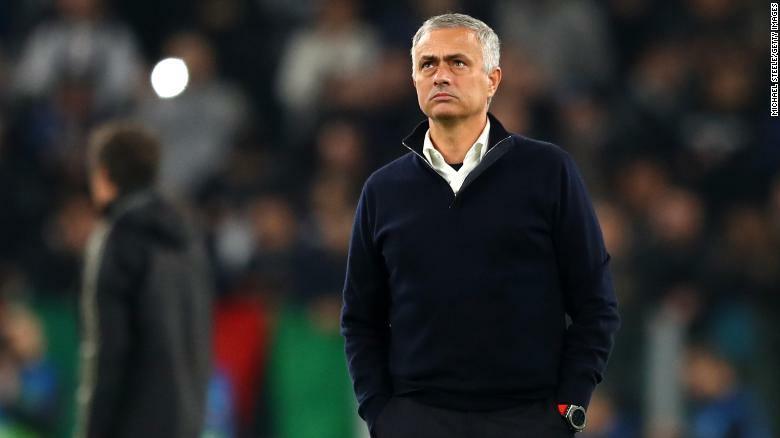 Is Jose Mourinho Finished in English Football? Wondering why the Berhalter hire took so long has agitated our finest minds. Not that agitating our fine minds is what you'd call difficult. If you're wondering when the big clubs will give up on the idea of a Super League, the answer is never. By the way, not at all certain that Precourt will ever field a team again, in Austin or anywhere else. I just don't see his losing streak ending. I realize he's technically still the Crew owner, but he checked out a year ago. If the Crew win MLS Cup this year, they should hand the trophy to the Nordecke. Meet the new Crew! Same as the old Crew! Was I simply looking for an excuse to type "England's equivalent of the US Open Cup" and pretend it wasn't ironic? You know it, baby. The President of the US can be partisan, but the President of the USSF cannot.